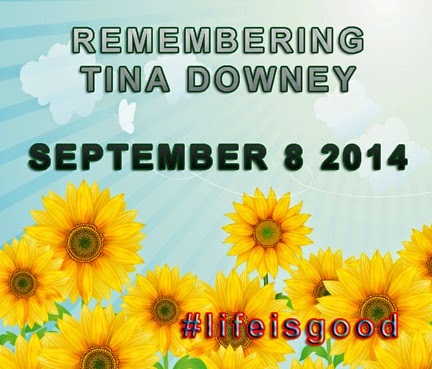 Today, the Internet remembers Tina Downey. 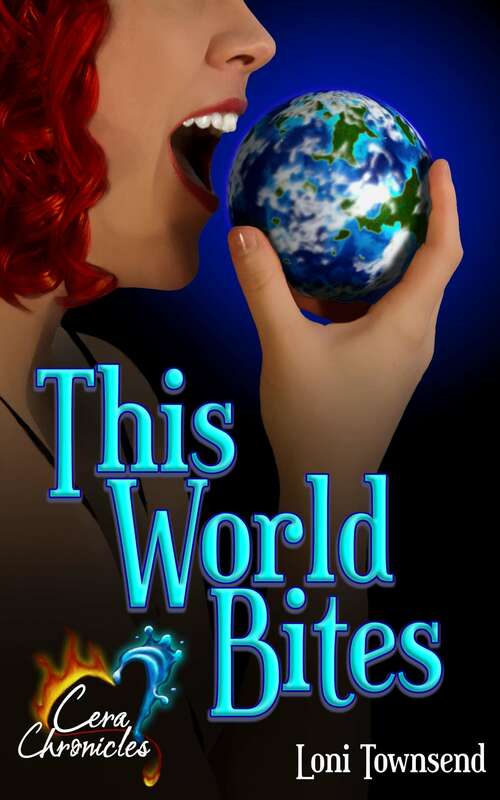 She was a bright spirit with the motto “Life is Good,” and she left us far too early. I didn’t meet her until this past April, when I participated in the A-to-Z Challenge. Even in that short time, I was amazed by her upbeat attitude in the midst of ongoing hardships. If you would like to donate to the Downey Education Fund for her two sons, you may use the following PayPal button to do so. You can find the list of other people participating in this memorial and sign up here. Let’s flood the internet with sunflowers for Tina. 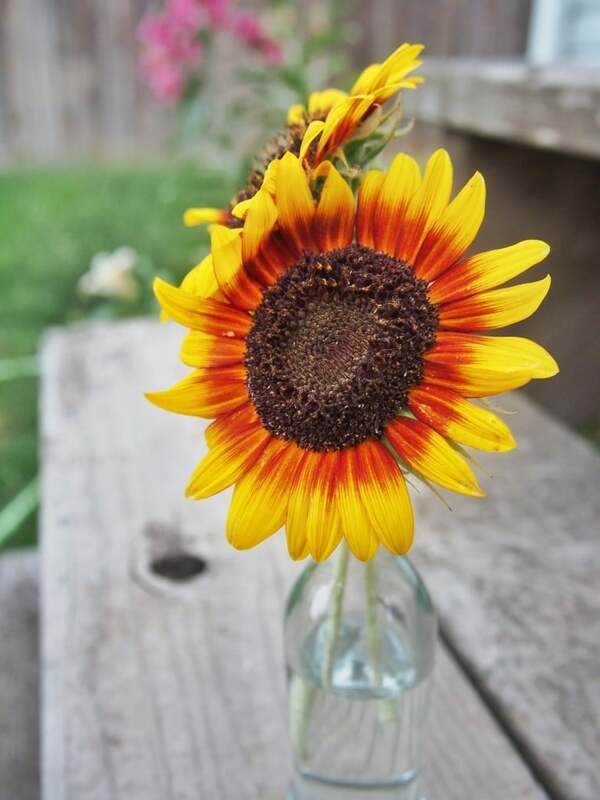 Tina would love seeing all these sunflowers posted in her memory! Those are some beautiful sunflowers! Tina would love them. This has been a great tribute for Tina. Everyone has joined in. That is a big beautiful sunflower! I love that flower. Great tribute! It’s larger than life… just like Tina! I can’t believe that is real! So pretty. That continuous upbeat attitude made me think she was invincible, and when I realized she wasn’t…it was like a kick in the gut. I suppose she is invincible now. It’s so sad what happened. And truly inspiring to see how everyone has rallied to support her memory. I love the photo, glass bottles are so perfect for holding flowers. And what a beautiful flower! Such beautiful flowers for Tina. I love the orange and yellow.